Sony's first quarter results are out, and the news isn't good. Sony has not been doing well. It's suffered four straight years of financial losses and the results for the first quarter this financial year aren't any better. Game sales only added to the dirge this time out; PSP handheld, PS3, and game sales were all down. The PS Vita portable was the sole bright spot, but the money generated there was by no means enough to offset other gaming losses. Future game sales estimates have been revised downward, and according to a Sony spokesman "for the rest of the fiscal year we are taking a cautious view of the market." During the August 2nd investor conference call, when asked directly whether the results had anything to with the Vita performing below expectations, the response from Sony's senior staff was that "currency movements" alone were to blame. It costs too much to buy Yen these days, which means that Sony's Japanese products - robust sellers though they may be - can't make the margins that had originally been forecast. 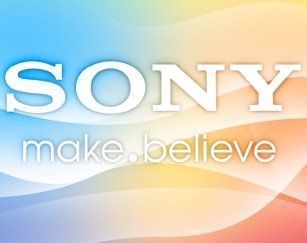 When asked what changes would be made to offset this loss in future quarters the Sony men said research and development and marketing would take a hit, but refused to go into any great detail as to what cuts would be made. The Sony execs weren't at all keen to break down Vita sales comparisons against other Sony systems, and this reluctance might indicate that currency movements were not the only problem in the first quarter. Sony's supporting documentation cites "lower sales of hardware and software of the PSP and PlayStation3" as the main reason for the game sales loss. All told, there was an operating loss of $45 million in the quarter, which represents a 14.5% year-on-year drop for their game sales. When Kaz Hirai was brought in as Sony's CEO it was hoped that he could turn things around, and he said at the time that "if we don't turn this around, we could be sitting in some serious trouble." Now he knows just how much trouble Sony is in.